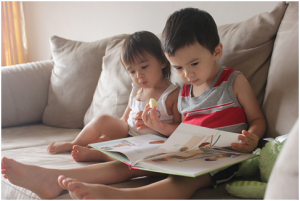 Reading aloud – enriching your young child’s reading experience | So You Want To Teach? There are many benefits to reading aloud to your kids. To begin with, reading helps parents bond with their children, and thus they might grow up eager to open a book, learn and put their creativity to good use. Studies have shown that if you don’t read to them by the age of 5, your kid’s interest in reading may drop to 40%. 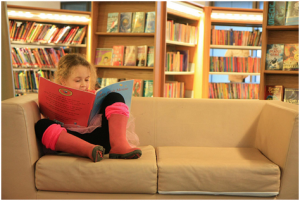 Why should you strive to instill a passion for reading in your child? Read on to find out the reasons. Research says that reading aloud to kids is a healthy way to promote language development, as well as additional literacy skills. Both shared book reading and reading aloud has proven to increase a child’s literacy ability from a very young age. Shared book reading helps them recognize letters and even understand that print words represent words that are spoken. Print concepts are also learned through shared book reading, and by exposing the child to the written text might help him develop a genuine passion for reading on his own later in life. Another fundamental prerequisite when reading aloud to children is phonological awareness. For a child to be able to read words, he has to learn the rules for print translation and be able to put them into meaningful sounds. A lot of parents promote sound pattern awareness by emphasizing words that rhyme. When kids do well at manipulating and detecting rhymes, phonemes and syllables, they have a tendency to learn a lot faster to read. Children have a specific sensitivity to sounds in a very particular order, even though the stages may overlap. They learn about sound or phonemes informally by learning name letters. Many of today’s alphabet books feature letter names and pictures with objects whose name starts with the critical sound. When reading aloud to their children parents should focus on those critical sounds in the words. There are kids that may develop reading difficulties, which can only be prevented by exposing the child to lots of literacy materials. This way they become more aware of the connection between sounds and letters. One of the greatest advantages of reading aloud to kids is that it involves both parents and kids. It is an opportunity for them to interact and strengthen the child-parent bond while at the same time learn useful things. Mothers with kids that are more securely attached to them can interact a lot easier. 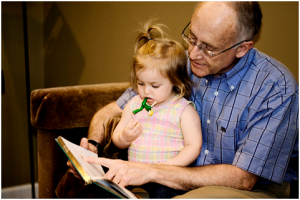 When reading aloud to your children, you should know that you’re not just helping them expand their knowledge. Through reading they will also learn about valuing their self-esteem, know more about peer relationships, and general world knowledge. Reading aloud promotes joint attention, and this has a lot of potential benefits linked to reading, including boosting receptive and expressive language. It’s very important for parents to make sure that their kids’ interests are maintained during a shared book reading session. Compelling your child to like reading is fine, but it’s not the same thing as forcing them to like a certain genre. When kids stumble upon a book that’s pleasant to read and interesting, there are high chances for them to develop a positive attitude towards reading in general, and little by little they’ll grow up to be more open-minded. Reading to your child or with your child is perfect; however, it’s equally important to focus on the emotional quality of the reading session. It’s up to you to make reading fun by impersonating voices, or explaining environments and circumstances in a fun and pleasant manner. This will help the child become more creative; he will be able to imagine a certain environment, and little by little he might even become a bookworm child. Bottom line is reading aloud to kids features lots of benefits. Reading helps diversify one’s vocabulary, and it also prepares the child to deal with matters of real life from a very early age. However, for your child to make the most of a reading session, the parent must be very careful when choosing the genre. Furthermore, he is in charge for making the whole process seem fun and engaging, while at the same time educational and interactive.